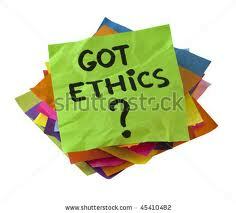 7 Qualities of Highly Ethical People - Something New Everyday! People are ethical because of social norms, religious beliefs and laws. 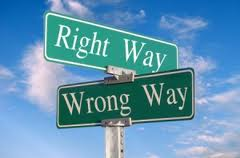 Ethical foundations in an individual define the way he lives the life by differentiating between right and wrong and behave in a way which improves the situation directly or indirectly however doesn't harm it at any cost. Ethics have been defined by relevant governmental and religious authorities for several domains of life however below article occupies 'blanket' coverage for all norms of life. Below are top seven qualities of highly ethical people. 1- They are Empathic: Ethical people have high degree of emotional intelligence. They understand things from multiple perspectives covering all the direct and indirect stake holders.. They seek first to understand than to be understood. They have strong observatory, listening and analytical skills to understand things deeply. This quality makes them unique which enables them to win the trust of others; consequently, people share their problems with them with open heart and seek their support. 2- They Forgive and Forget: It requires a brave heart to forgive and forget. 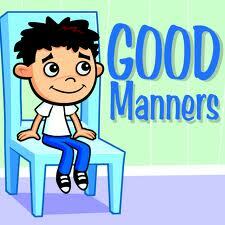 Ethical people don't keep grudges for long duration. They have the tendency to establish peace all the times hence keeping the brawls open does not suit them. They stay away from such complications and move ahead with life by forgiving and forgetting the matters. 3- They are Always willing to Help: Highly Ethical people always want to improve the situation regardless of their relationship with a person who is in trouble. They take either corrective, preventive or suggestive initiatives for resolving issues. Corrective approach ensures that the matter is fixed by doing some specific actions. Preventive approach guarantees that such particular matters do not appear again. They use preventive approach to reach the root cause of the issue so as to fix it permanently so as to avoid further frequency of such incidents. Suggestive methodology is used by them for guiding someone to do some specific act in order to overcome a tragic situation. 5- They Mind Their Own Business: A lot of people have the habit of having serious curiosity about every other person's life. This habit causes them talk about people too much, spreading rumors and scattering false news in the society without any verification. Unlike those, ethical People do not interfere in others' lives unnecessarily; they mind their own business. Ethical people understand the fact the character assassination is equally a great sin so they don't give attention to rumors and focus on crystal clear matters; and avoid peeping into others' personal matters. 6- They are Flexible & adaptable: The wise says, it is better to bend than to break. Ethical people possess a great deal of elasticity. They adapt themselves according to the situation. They don't stick to one mind set. Their continuous thought process enables them to change their minds easily in order to improve a situation without making it a matter of ego. They are not stubborn at all instead portray a flexible behavior in all kind of tough situations. 7- They Do not criticize: Too much criticism is the root of several social and professional problems. Ethical people do not criticize at first place. In case they need to condemn or criticize something they follow a positive methodology to approach the relevant person and advice in a way which doesn't hurt anyone and convey the message in an effective way. What are the other traits of highly effective people? Compromising on Ethical Values? How to handle such situations?